Capsol Luxury Villa Rentals, is part of The Capsol Group of companies, which began in 1996 as a tiny family-run business, mainly to provide upmarket holiday accommodation and associated services to the burgeoning film industry in Cape Town at the time. Since then, the group has developed alongside, and helped pioneer, the Luxury Villa Marketing and Vacation Rental Industry in Cape Town, particularly along the sought-after Atlantic Seaboard areas such as Camps Bay, Clifton and Bantry Bay. Today Capsol is a leader in Cape Town’s short-term holiday rental industry and is highly respected for their knowledge, professionalism and integrity. Having been around since the very beginning, we know the industry inside out; we know the best villas and apartments available to rent, we know how to market our properties in order to achieve the best possible returns.Through our Guest and Property Management division, Turnkey365 , we are able to offer a turn-key solution, providing peace of mind for our property owners. Most importantly we have learnt through experience what our local and international clients want and expect when booking a vacation rental property. Over the years we have experienced significant growth, offering various specialized services via each of our companies. However, The Capsol Group still operates like a close-knit family that aims to provide you with the most comprehensive, personalized and professional service available. From your first contact with The Capsol Group, we strive to provide the most professional,personal, trustworthy and friendly service you’ll find in Cape Town. 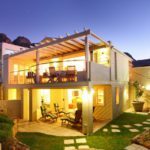 Whether you are renting a villa in Cape Town, you wish to market and rent your own property to visitors to Cape Town or have your property professionally managed; there is a specialized team at Capsol waiting to assist you. By listening to you, keeping you updated and being readily available with the relevant expertise, we are committed to providing the best possible service so that you can have peace of mind while dealing with any division of The Capsol Group. Located in the heart of Camps Bay, overlooking this exclusive seaside suburb and the mesmerising Atlantic Ocean, the stylish Capsol offices are ideally located to provide the best service to our clients. We are part of the Camps Bay community, and know the surrounding suburbs of Bantry Bay, Clifton, Bakoven, Hout Bay and Llandudno intimately. With many of our staff living close by and even having grown up in the area, we know the best restaurants, best beaches and other little secrets that we will be happy to share with you. Although most of our communication will be on the phone or by email, please pop in to visit us when you are in Cape Town, we would love to meet you in person and show off the magnificent view from our balcony! Over many years, Capsol has built up the largest portfolio of dependable, top quality holiday rental villas and apartments in Cape Town. Capsol personally manages a selection of beautiful apartments and gracious Cape Town villas along the exclusive Atlantic Seaboard, from the city centre, through Bantry Bay, Clifton, Camps Bay and quaint Bakoven. Serviced regularly by our own cleaning team and with Capsol’s Guest Relations Team only a phone call away, you are guaranteed a hassle-free stay. We also work with the best villa management companies in Cape Town; companies that we have hand-selected for their beautiful and well-located villas or apartments and for their excellent service to ensure you are well looked after during your stay. Our villa consultants, whom have personally viewed each and every property on our portfolio, will listen to your requirements and recommend the perfect villa or apartment, that will best suit your needs. Whether you are a seasoned visitor to Cape Town and count it as your second home, or it is your first trip and need a little guidance, Capsol Villas aims to make the process of finding, booking and securing your private Cape Town Villa as quick and pleasant as possible. With access to thousands of qualified Luxury Self-Catering Properties, we will find the most suitable vacation rental for you, in the best areas of Cape Town.. 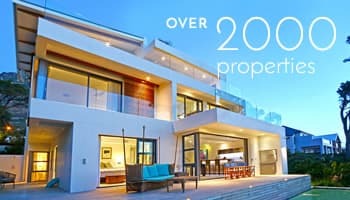 Whether you a looking for an indulgent love-nest for a romantic occasion, a large family villa for a fun-filled beach holiday, a convenient base for your business trip or even a striking Cape Town venue for an intimate wedding, Capsol Villas will work closely with you to find the right villa or apartment for your needs. We will also gladly book car hire, transfers, private chefs or other services for you; we know all the best suppliers in town. Chat to our friendly reservation consultants for ideas of things to do in Cape Town or to book excursions and tours. Experts in the bespoke Holiday Villa industry, Turnkey365 can manage all aspects of marketing your property to the lucrative holiday accommodation market, from start to finish. We can provide a comprehensive marketing & channel management strategy ; recommend an optimal pricing strategy for maximum occupancy; and deal with reservations, payments and calendar control on your behalf.By keeping in touch with current international marketing and travel related trends, combined with our years of experience, we provide one of the most comprehensive, cutting edge and successful marketing and reservation management platforms currently on offer. Capsol can provide a personalised Concierge Service, Airport Shuttles or Car Rental for your Cape Town holiday. Let us know what you are looking for and we will do our best to assist you. We offers a large selection of long-term rental & properties for sale, in and around Cape Town.Whether you require a furnished or unfurnished long-term rental property , looking to purchase (or sell) , we would welcome the opportunity to assist you! I had such a lovely trip to Cape Town and the apartment was lovely. I am always very happy with your service and help you provide. I will be using you whenever I come to Cape Town to find my accommodation. The property is a very comfortable and well thought out place. I just wanted to say thank you for arranging an amazing few days in Cape Town!! We had a wonderful time and will be recommending your services to many of our friends! I’m sure that you’ll hear from us soon to arrange the next visit! The property is excellent and must admit that in all the properties we have stayed on a short-term basis, both locally and overseas, it was the most warm and homely property that we ever have stayed in. It really felt like home from home. The property manager was superb, welcomed us warmly and provided us with all the information to make our stay memorable. Firstly I would like to say thanks for the memorable holiday. Your service from start to finish was excellent i must say that you were very accommodating and it was a pleasure dealing with you, bottom line I was impressed. Regarding the property, it was excellent! The view was awesome and it was really convenient, easy excess to everything! The property managers service was also excellent she’s also a very kind and pleasant person to deal with. We had a fantastic stay at the lovely villa. All my friends who came round to see us exclaimed at how beautiful the house was and what great views! Thank you so much for the chocolates and wine. The wedding was a fabulous event and everybody thoroughly enjoyed themselves. You provided excellent service and I can’t think of anything else you could have done to improve our stay. I would certainly want to stay at 55 La Croix again if I am ever in Cape Town for an extended period. Many thanks for all your assistance and exceptional service! We appreciate the receptiveness that you and the Capsol team have shown. We look forward to making use of Capsol’s services again.